If it feels like "Sam Maher Month" here at HPM, with this being the third near-consecutive post featuring him thus far. As far as we’re concerned - he’s earned it. Because while the saying “a rising tide lifts all boats” perhaps sounds a little opportunistic - traffic to this site has tripled over the last week or so, as a result of a recent video of Sam's shared over at Facebook having blown-up in a big way - racking up over five million views in just two weeks. And spreading rapidly. With over 150,000 shares. And over 50,000 likes (and counting). Spreading further still via platforms like Twitter. Introducing an army of new admirers to the sounds of UFO-shaped singing-steel. And while we’ve probably all stumbled across YouTube videos with few views that were awesome, that we felt were deserving of more attention. 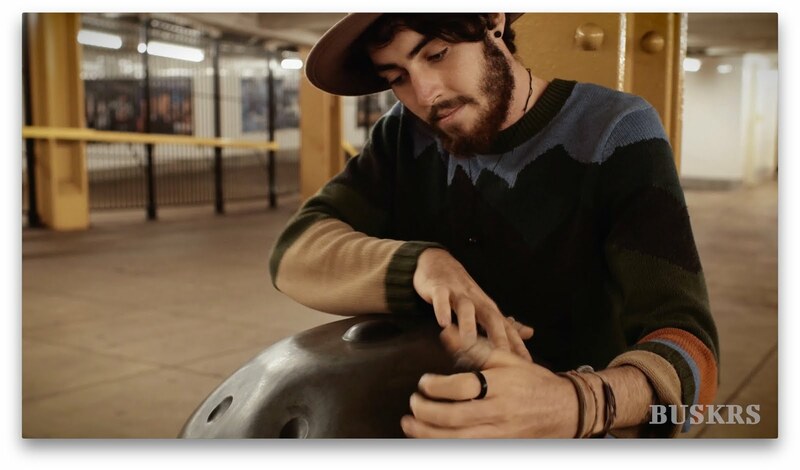 In the instance of Sam Maher’s ‘New York Handpan 01’ (featured below), it’s clear that “the people” have chosen wisely. With it being one of the finest Handpan performances that a person could ever hope to witness. What you don't hear in the video over at Facebook, that you do hear in the YouTube version above, is the ending. In which both Sam, and the guy from BUSKRS exclaim, "That's the one!". And you find yourself nodding firmly in agreement. We haven't heard it thrown around much in recent times, but in the earlier days of the Hang, the sound of the instrument was often described as being like a "Chorus of Angels", which we believe originated with Hang-maker, Felix Rohner, himself. And listening to Sam play, it is especially easy to imagine a Choir of Angels imbued within the steel, conducted and enticed to sing, by Sam Maher's dancing hands and fingers.